As a creative freelancer, I have spent many years delivering drama workshops around the issue of sexual health. 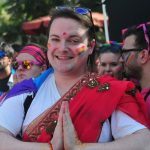 Whilst not medically qualified myself, it is good for me to know as much as I can about the state of HIV and AIDS prevention and treatment in the UK, since you never know what questions they might ask! Since 2002, when I started teaching, we have seen so many enormous changes. Recent groups of teenagers I have worked with have been surprised to hear the sort of things I told them about HIV and AIDS back at the turn of the century, let alone hearing about what happened when I was a child in the 1980s. So many amazing and life-changing discoveries have been made since then. We live in an age where some people are celebrating a decade of the virus being undetectable in their bloodstream, and joyfully expecting to live to a good old age. These are joyful changes, but of course, even in this country, some people still struggle to receive the kind of help that makes this kind of life and future possible. For those in other countries, the story can be even bleaker. Some of the pupils say to me ‘Oh, you just take one pill a day and that’s it…who cares?’. Whilst they have a point (to a certain extent) I still don’t think it’s that simple, and certainly it shouldn’t be seen as something that is no longer worth thinking about. Yes, some people remark at how little their HIV positive status impacts upon their life, and that’s wonderful, but many more feel its effects keenly every day. 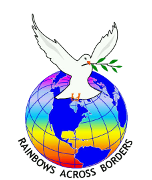 This does not necessarily stop them thriving, but the fight against HIV and AIDS is far from over. Sadly, many people still struggle to thrive at all, and that is still profoundly wrong. I was born in 1982, and as such, mostly ‘missed’ the AIDS crisis of the 1980s. My forebears were not so lucky. Many remember all too well the pain and horror of losing so many beloved friends. Some members of the Pink Singers have been generous enough to open up to me about that time, and tell me how joining the choir was, sometimes, because they needed that safety of a loving community that understood what they had been through. We cannot underestimate the effect of Post Traumatic Stress Disorder upon our whole community. Even now, when we take a bow at the end of our shows, I know there are a few Pinkies who look to the sky at that moment, and send boundless love to the many friends they lost to AIDS thinking ‘This is for you’. As their hearts swell and their eyes tear up, often, so do mine. Of course the AIDS crisis wasn’t just confined to our global LGBTQ+ family, but it is fair to say that, in the UK at least, we took the brunt of it. We were robbed of a generation of thinkers, doers, lovers, friends, people who may have changed the world for the better if only they had had a chance. Recently, many of us chose to wear red poppies to commemorate the war dead. How many people will wear the iconic Red Ribbon to commemorate approximately 35 million people lost to HIV and AIDS? I know the Pinkies will. We are being joined at our World AIDS Day Concert by the wonderful ‘Rainbow Singers Across Borders’, from the organisation ‘Rainbows Across Borders’. They are LGBTQ+ Asylum Seekers, many from African countries. The continent of Africa has suffered so much from the devastating effects of HIV and AIDS, with Sub-Saharan Africa remaining the most severely affected. According to the World Health Organisation, nearly 1 in every 25 adults are living with HIV and account for nearly two-thirds of the people living with HIV worldwide. At a time when people with HIV and AIDS are still struggling to access the health care they so desperately need (particularly in African countries) at a time when the LGBTQ+ population is under attack from many sides (particularly the trans population currently), we think now is a good time to come together in song. 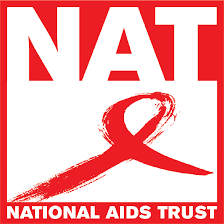 We will be using this event to raise money for the National Aids Trust. To remember those we lost, to help those who are , thankfully, still here, and to keep fighting on. Keep fighting for justice and truth, for the health and well-being of those we love so much. Keep fighting for those who are no longer able to. We will do it for them, we will do it for us, and we will do it for those who will come next. Our wonderful global family. We really hope you can join us for this very special day. 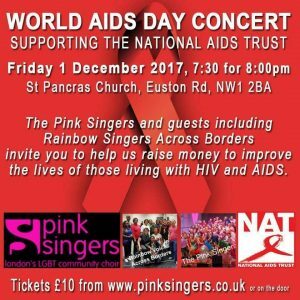 The concert is at 7:30pm on World Aids Day Friday 1st December, at St Pancras Church, Euston Road, NW1 2BA. Tickets are by suggested donation, and can be found here.